The Toronto, Hamilton & Buffalo provided a connecting link between Buffalo, New York and Hamilton, Ontario as well as between American passenger railroads serving Buffalo Central Terminal and the Canadian Pacific line to Toronto. Here TH&B switcher no. 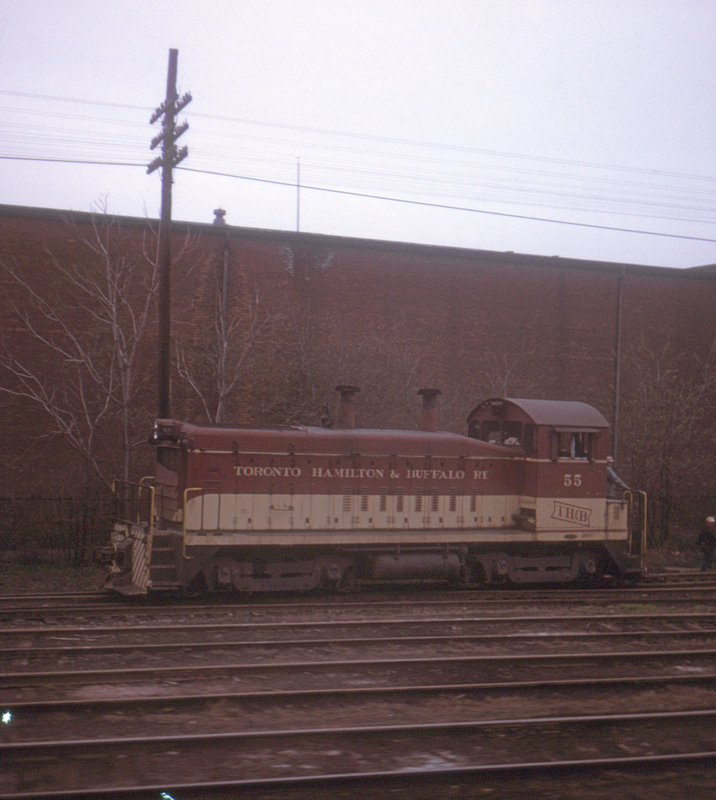 55 is glimpsed from a Canadian Pacific RDC at Hamilton, Ontario on its way from Buffalo to Toronto.